I was confused at the last day in Selayar Island on September 5th 2014. I was alone because all my friends decided to go home after our jurney to The Old Village of Bitombang on September 3rd. I had thought to go with them, but also still wanted to stay. And the thing that made me want to stay is the beauty of the beaches on the Gusung Island. So finally I decided to stay even though I had to travel alone. 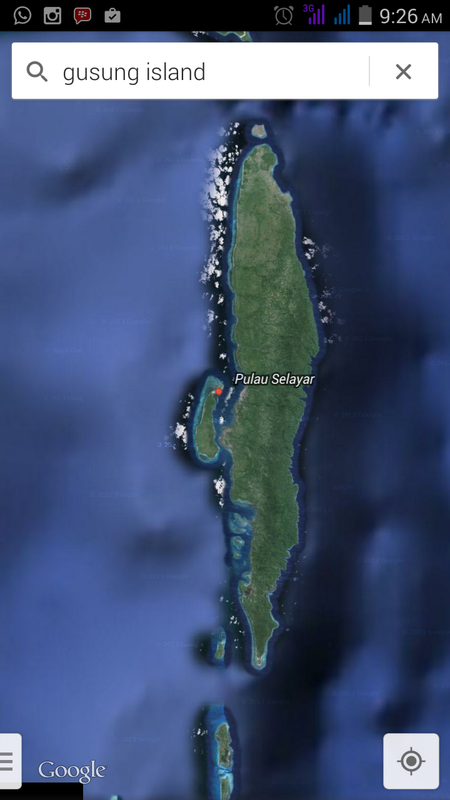 Gusung island is located at the western of Selayar Island, South Sulawesi. It’s a small island that extends from north to south and divided by two, east coast and west coast. In the east there are fishing villages, and the beach a lot used for fishponds. While on the west coast as an interesting destination because of its deserted beautiful beaches. The underwater is also beautiful so it could be the good choice to go snorkeling or diving. 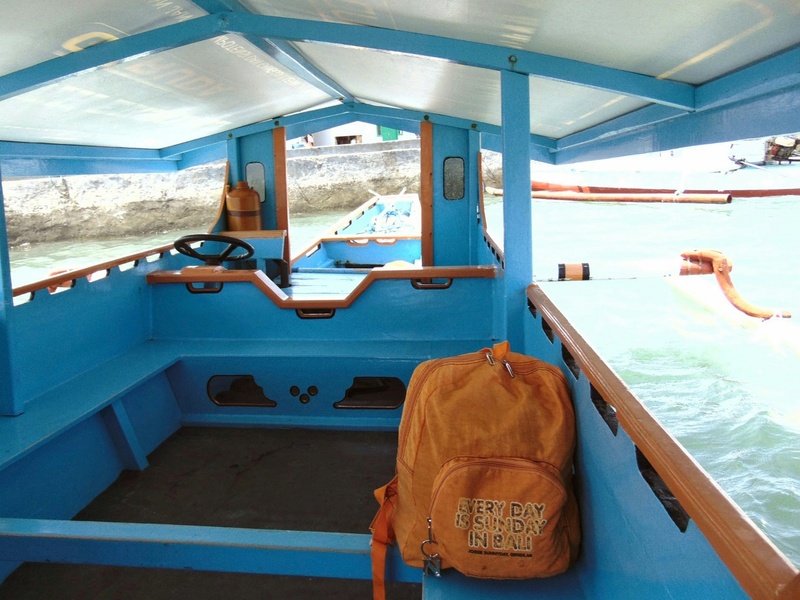 I rent a boat at the traditional pier in padang village for IDR250.000. I went to Padang Village by public tranpportation from Kota Benteng, the capital city of Selayar Island. From the pier, I could saw the east coast of Gusung Island, like you can see now at the photo above, the east coast be the background of the boat photo. With that boat, I hopped on and hopped off to the beaches from south to the north along the day. Yea, only me and the owner of the boat. And that boat was so big for us two. We arrived at Liang Kareta Beach at southernmost of the west coast of Gusung Island after 15 minutes crossing the sea by boat. It was sunny morning and the waves was quite calm. In the local language, ‘liang‘ means hole, and ‘kareta‘ means carriage or train. So, the beach was named ‘Liang Kareta‘ because there’s a row of holes in the rock of the beach. The holes lined up along the rock that encircling the sandy beach. Some of the hole looked like a cave, and a lot of the ruins rock in front of the mouth. I tried to get into one of the holes and enjoy the view from inside. The boat and its owner who so patiently waiting while I enjoy the beach. After enjoying Liang Kareta Beach, I moved to Malemalea Beach. It only 10 minutes by boat to the north. The water was so clear and translucent, so I could see the corals while I was on the way to the Malemalea Beach. It’s a white sandy beach, with the palm trees as the background. Again, there was none at the beach and it made me feel like I was the owner of the beach. From Malemalea beach, I went on my journey up north and got off at Liang Tarussu Beach. At this beach I found some holes that breaktrough the rock, such a short tunnel. That’s why this beach is named Liang Tarussu because tarussu means breaktrough. This was the first tunnel that I found at the left side of the beach. Height of the tunnel is about two meters, and has a length of about 3 meters. The atmosphere under the tunnel was very shady and the water was cool. I wonder how could the trees survive to live on the rock? I wanted to go up the rock to see the scenery, but the wooden stairs were broken. So I just looked around, and walked trough the rock. Between many rocks around the tunnel, I tried to shoot the scenery and used the rocks as a frame. Away on the other side, a boat was moored near the rocks. Let’s see what’s there. There’s a bigger tunnel near the boat, but the height was not taller than the first tunnel, so I had to bend when passing through this tunnel. I spent much time in this corner. Enjoyed the shady atmosphere, enjoyed the whispers of seashore, also the beautiful view. The view on the right side from my fav corner. The view on the left side from my fav corner. The rocks over there were the location of the first tunnel. Btw, thank you so much for reading and walking with me. I write this post to challenge my self in writing in english, so if you find the mistake I will be so glad if you would tell me so I can learn from it. It’s also my pleasure to link up this post to Jo’s Monday Walk. Please visit her blog if you like to walk with her trough her stunning photowork. Wow, those beaches! I love the picture of the backpack plus sandals in particular – nicely done! Noe takes us on vacation to Gusung Island. Wow, I like Malemalea Beach, it’s beautifull and I think it’s very nice to sit in the sand, just look around the scenery. Such a beautiful place Noe, the clear blue ocean and golden sands. That is a great way to discover the islands and I think being on your own brings a very special feeling to your photos. I can feel the peace and solitude you have shared with us. But i don’t know, while observing these pictures, I got a feeling of lonely. So beautiful place in so lonely moment. What a place, Noe! I especially love Liang Tarrusu beach. I could be so happy playing there too. Isn’t it amazing that our planet has such fabulous places? How lucky we are! Your photos are beautiful. 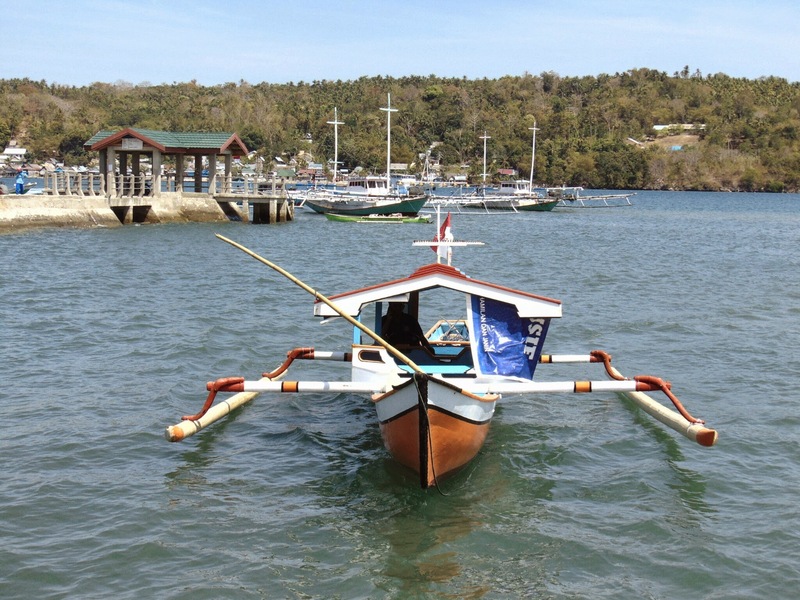 You can take me for a ride in one of those lovely boats any time. 🙂 Many thanks for joining me. Incredible beaches and islands indeed! You capture it well as well…love all the photos..Can’t wait to visit this place myself..